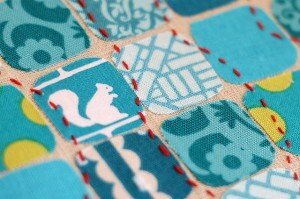 "Who doesn’t love a scrappy project? Not just the look of them but also the fact you’re squeezing a little bit more life out of your much loved fabrics. "Downside: it encourages scrap hoarding. Big time. 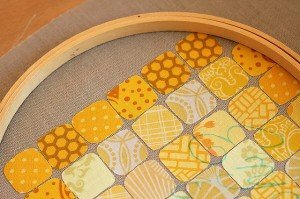 This technique can be used with scraps of almost any size – these fabric tiles are one inch squares." What do you think of these fabric tiles?